The Internet is awesome for many reasons. Every genealogist has probably already reaped the benefits by emailing with a third cousin once removed through Ancestry.com or finding their great granny’s birth certificate without getting our of their pajamas. In reality, the record availability online for the time and place you are researching can just come down to luck. Recently, I was one of the lucky ones, and I was able to trace my paternal line back to the early 18th century in 10 minutes without leaving my house. The immigrant ancestor on my father’s side is Blazius Britanik. He immigrated to the United States between 1887 and 1890. He was born in Lendák, Kežmarok, Slovakia on 3 February 1870. The index for his baptismal record listed his name as Blasius Britanyak. I’m certain this is my ancestor, as the parents on his baptismal record match his parents on his death record. All of the records for Blazius after he immigrated to America typically spelled his surname as Britanik. 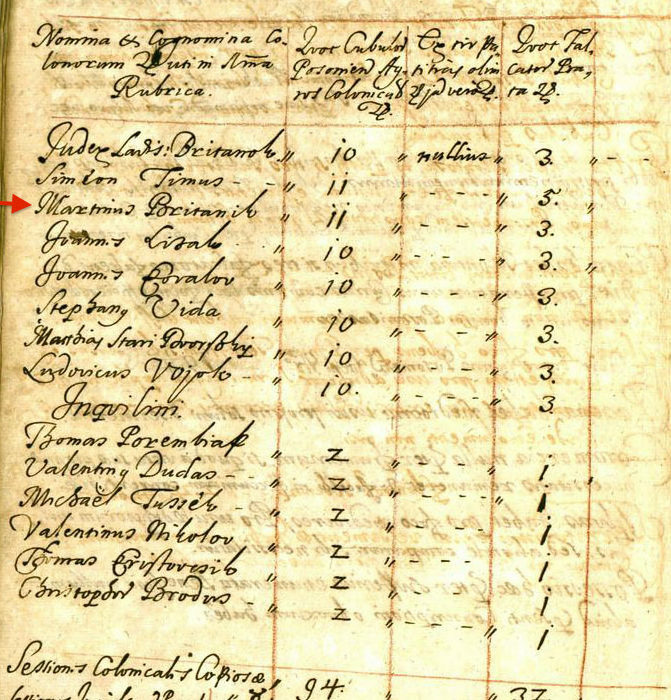 The site has some basic information about Lendak, like a list of surnames in the 2005 Phonebook, as well as an image of the 1715 census record for the village. Interestingly enough, the census page had an entry for Maximina(?) Britanik! There is also another entry for a man with the surname Britanok. Sure, this may not be a record of a direct ancestor, but Lendak is small, so I say chances are we probably share at least some DNA. And that’s how I got lucky and was able to find a possible ancestor from the early 1700s in a matter of minutes.